It is approximately five minutes walk to Stone Bay and Viking Bay and also the Town Centre and is located in a quiet cul-de-sac with off street parking for two cars. 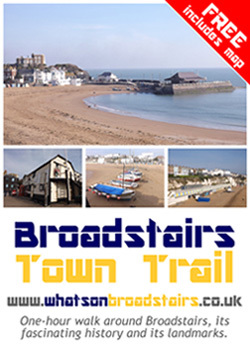 Broadstairs has a number of award winning beaches and is known as the "Jewel in Thanet's crown", it has a charming Victorian town centre and has many events and festivals running throughout the year. Some events planned for this year are the Royal May Day fair, Dickens Festival, Folk Week, Water Gala and Broadstairs Food Festival. All events and news updates will be posted on this page via our Facebook Page. Short breaks are available out of high season and special offers will be posted here and on Facebook so visit us often to avoid missing out.